For Football Skills, Life Skills and Fun! For price, street address and to make purchase, click the camp. AFTER CAMP SKILL INSTRUCTION is available at all camps. Water breaks are taken after every break. Campers may take water at any time. Camp may slow or end football training in periods of inclement weather, seek shelter or do off-field curriculum.. HEROES: Titans Alumni Heroes provide supplemental instruction. These are former players, fathers and family men that played the world’s ultimate team sport at the highest level. They join us because they love teaching kids through football. Participating Titans Heroes include Blaine Bishop, Brad Hopkins, Donald Nickey, Derrick Mason, Gerald McRaith, Neil O’Donnell, Chris Sanders, Al Smith and others. See a complete list of participating Tennessee Titan Alumni Heroes on tab below. Tennessee Titan Heroes supplement instruction. 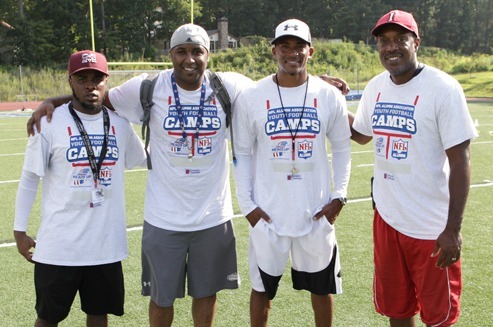 Camps are led by professional, USA Football Certified Coaches. Our coaches develop athletic skill, build confidence and provide positive reinforcement. These outstanding educators are the foundation of our day-to-day operations and the key to our program quality. Titans Alumni Heroes are fathers and family men that understand the dynamics of communicating with young people. 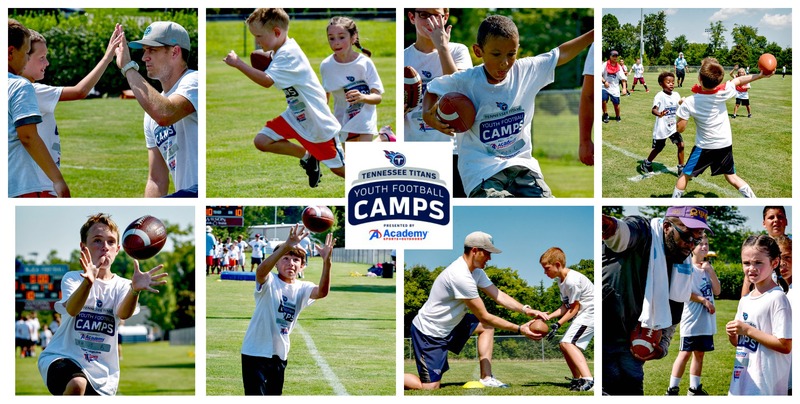 Titans Alumni Heroes provide supplemental instruction, typically on Tuesday, Wednesday and Thursday of the camp week. Some of the following Titan Alumni Heroes will appear at various camp locations. NFL Alumni Heroes from the Tennessee Titans or other NFL teams provide supplemental instruction.